Officer Aeryn Sun was a pilot, part of the Pleisar Regimen - always the first unit in. She was a front-line soldier in the Peacekeeper corps, a grunt, and proud of it. Aeryn was a top-notch soldier and combat pilot until her encounter with Crichton and Moya rendered her, by Peacekeeper standards, "irreversibly contaminated," and ostracized her from the only family she'd ever known. Intensely proud of the fact that she can hold her own among any of her fellow soldiers, male or female, being trapped aboard Moya and having to count on non-Peacekeepers for survival goes against Aeryn's instincts and training. A side-effect to being surrounded by non-Peacekeepers is that it has forced her to grow as a person, to think bigger and to be better than she was before. It has taught her that there are other means and methods of communicating, but, like D'Argo, she still turns to combat as her primary solution to any problem Moya might face. Being a Peacekeeper obviously creates continuing friction between her and the others. 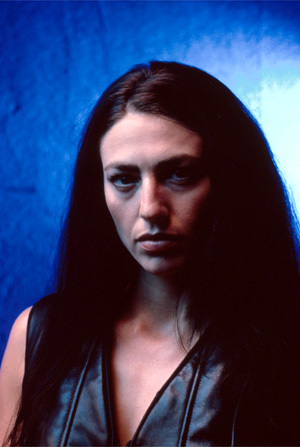 However, as time goes on, her interaction with the beings on board Moya, Crichton in particular, will lead Aeryn to an awareness and compassion that she has never known before. During a disasterous encounter with a sadistic scientist, Aeryn was injected with Pilot's DNA and, although the transformation was reversed, she still retains some of that genetic material. She now shares a close bond with Pilot, in addition to having an innate, technical knowledge to operate the vast ship. 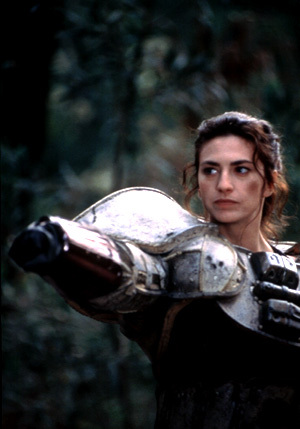 But Aeryn is still at odds with her Peacekeeper past. It's the only family she's ever known, and even though she's rejected it (and been rejected by it), her pride and sense of knowing her purpose have been wounded. She now sees the Peacekeepers more clearly -- ruthless, often brutal -- but her pride was formed mostly out of what they made her, and without them, even realizing their faults, she still has an affinity for them and the place that she lost.